Come discover the Gospel principles within the 12 Steps of Alcoholics Anonymous and other 12 Step Programs, steps that have helped free millions from addiction, and can help us free us from the chains of self-destruction that bind us. 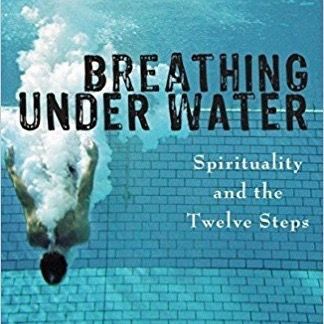 Using Richard Rohr's book, Breathing Under Water, we will explore what 12-Step Programs call recovery, and what the New Testament calls salvation. Rohr invites us to see how "addiction could be a very helpful metaphor for what the biblical tradition calls 'sin.'" We will learn how the 12 Steps foster healing from addiction/sin, and how they are a way for us to follow our call, as Christians, to grow into the fullness of Christ. "God desires nothing more than our happiness, and wills the healing of our disease"
All are welcome, wherever you are on your spiritual journey! Our doors are open whether you have ever crossed the threshold of our church or ever even dabbled in Christianity or not - whether you have ever stepped into the room of Alcoholics Anonymous or any other 12 Step Program or not. The course is structured to uphold the anonymity of any attendees who are in 12 Step Programs and wish to remain anonymous. Books are for sale in the bookstore or can be purchased online. The series runs for 12 weeks and will meet in the Sts Francis & Clare room on the 2nd floor of the church office building, which is at the back of the gated courtyard next to the church. Tuesdays, August 21 through November 6.